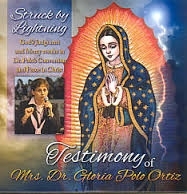 Another highly valuable book of prayers and novenas that offers a powerful method of praying for departed family and friends. Touching and exquisite devotions will surely elevate your soul while providing aid and comfort to the faithful departed. Let the perpetual Light shine upon them!